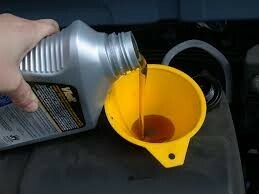 When was the last time you had your vehicle in for an oil change? Can’t remember? Well then it’s probably time to bring it in. At Long’s we preset appointments, plus we text you a week in advance to remind you of your appointment. 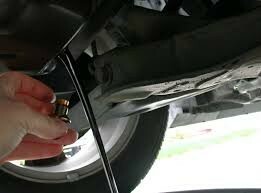 Oil changes are very important in maintaining the health and longevity of your vehicle. So if you can’t remember the last time you were in, give us a call, we would love to meet you and take care of your car. Once you are our customer, you won’t have to worry about remembering again, we do that for you!! I heard an interesting ad on the radio on the way to work today. It was from a Major Car Dealer, saying that for this month you could get “The Works” done if you bring your car in for an oil change. Curious, I listened to learn what “The Works” was…thinking it was going to be something super special. Turns out “The Works” ended up being a Courtesy Inspection, checking belts, hoses, lights, tires, etc. At Long’s we do this free of charge every time we see your vehicle. At this dealer..they are doing this for the month of March…yippee! These items should be checked out every time your car is service, just to make sure all of your vehicle’s components are in good working order. We want to maintain your car for as long as you want it…not just when we decide to check it out. So if you are looking for a company on the Eastside that cares about YOU and your car…come and see us!! 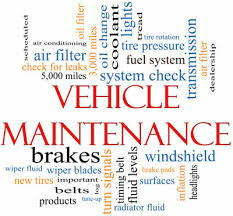 How important is automotive maintenance? It really depends on how often you want to buy a new car. Sometimes we like to put things off till the last minute or until someone tells we are ruining something even more by waiting. If your car or truck is not performing to the best of its abilities, it can lead to more costly repairs down the road. Over time, like most things, vehicles need to be maintained with a regular oil change, a cooling system flush once a year, all oils need to be checked and filled, and your tires need to be filled and rotated. If these things aren’t done, your vehicle will soon have problems, which end up being potentially dangerous and costing a lot of money. For your own, and the environment’s safety, as well as saving money, let us help you today. Stop by or schedule an appointment today. Have wonderful week! !